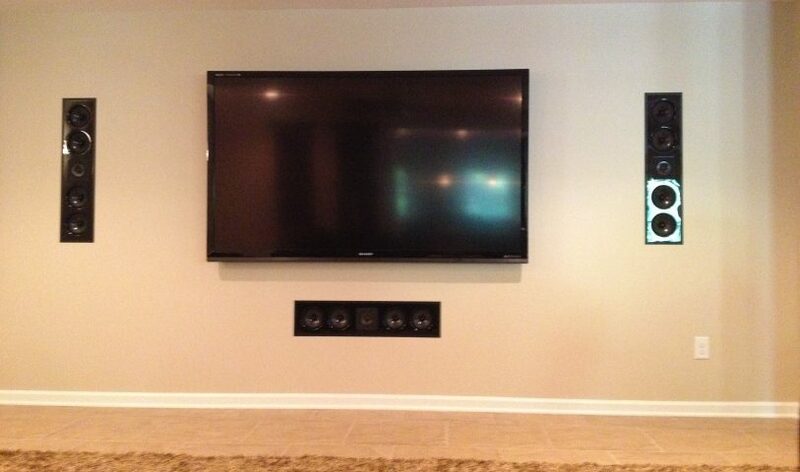 Designing a home theater is filled with many decisions and the sound system is one of the most important. 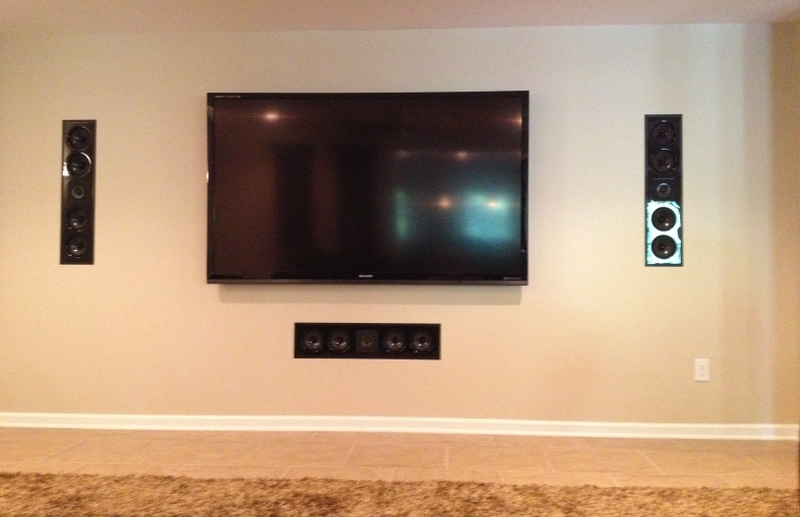 When choosing home speakers a lot of consumers are not sure whether in-ceiling or in-wall options are best. Many audio enthusiasts believe that all speakers should be at ear height in order to maximize the sound experience. Others like the rear speakers to be higher than those in other areas of the home theater in order to “wash” the room with sound. Like many home theater decisions, a lot of the choices come down to personal preference and limitations of the overall room set-up. However, if you are looking for overall surround experience it is best to keep the speakers in-wall with two of the rear speakers high on the wall or even in-ceiling. Many experts recommend that a mix of both in-ceiling and in-wall speakers be used, while others are adamant that speakers be placed at ear level while seated. One advantage of in-ceiling speakers is that they are unobtrusive. Home theater enthusiasts that are also driven by design do prefer this option at times. And, depending on the size of the room, i.e., those that are smaller, in-ceiling speakers can be the right choice. Even home speakers of the highest quality can deliver less of an experience if they are not correctly placed. Enlisting the services of an audio visual specialist can help you to get the most out of your equipment that is tailored to your space. If you are designing a new home theater, the folks at FireFoldAV will create the best home speaker system for your space and budget. Check out FireFoldAV to learn more about how our audio specialists can help you choose the best speakers for your home theater.